Johannisburg castle is one of the main attractions of Aschaffenburg and its landmark; it is also one of the most important buildings of the Renaissance period in Germany. 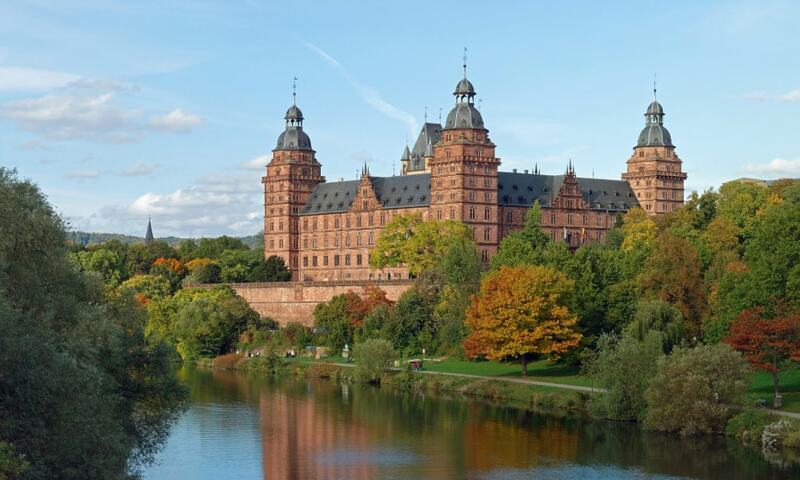 The castle is constructed of red sandstone, the typical building material of the Spessart, the hills near Aschaffenburg. It is one of the few mostly symmetrical palace buildings of the German Renaissance. The castle sits on a terrace overlooking the river, which was later expanded in area and height, elevating the castle above even the highest flood lines. Schloss Johannisburg is open to the public and hosts several museums. There is also the world's largest collection of architectural models made from cork, built by court confectioner Carl May and his son after 1792.